Christian Peacemaker Teams, Inc. - 14 Friends of Palestine for CPT! Support the work of Christian Peacemaker teams in Palestine. 14 Friends of Palestine invite you to donate to Christian Peacemaker Teams in support of their work in Palestine. CPT Palestine is based primarily in al-Khalil (Hebron). They work in solidarity with Palestinian-led, nonviolent, grassroots resistance to the Israeli occupation and the unjust structures that uphold it. The team stands in solidarity with Palestinian and Israeli peacemakers, and uses their physical presence to reduce the violence of the occupation where they can. 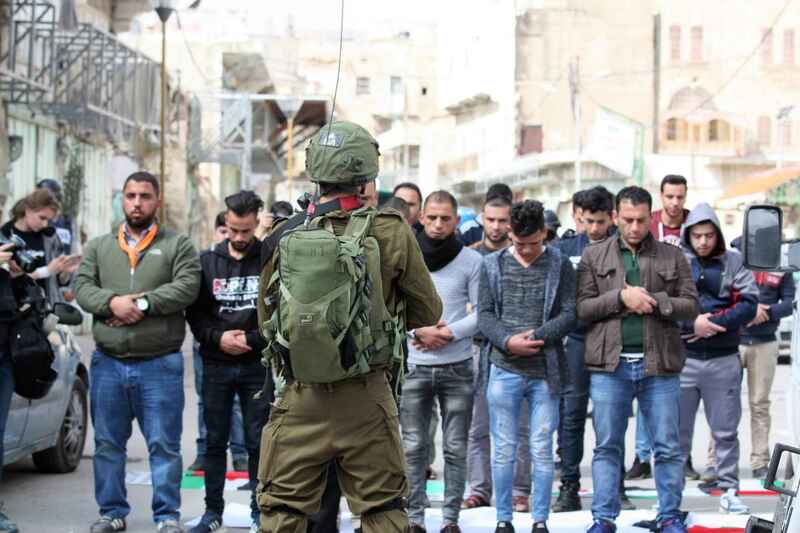 They observe and report on human rights abuses by the Israeli military and Israeli settlers, against Palestinians as they attempt to go about their daily lives. CPT Palestine also accompanies schoolchildren on their daily walks to and from school. These students must walk through one or more military checkpoints, where they often face aggression from the Israeli military, in the form of bag or body checks, tear gas, sound grenades, and more. CPT's reports on these violations of students' rights have been used by UNICEF and other organizations to work towards peace and justice for the people of Palestine. This is to support Dina Saba’s efforts....go Dina! For the children in Palestine. Thank you for helping them get to and from school safely.